Do you wish that you can create your own Revit families? Or you wish you know how to modify a family that you have? 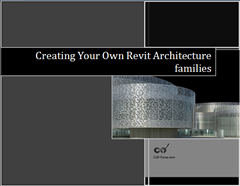 We are launced our new e-book: Creating Your Own Revit Architecture Families. It covers the basic and concept how you can create your own family. You can have it for US$ 10,00. It is also included video animation (mp4 format) for every exercises, that you can download separately. You can download and see the table of contents here. for you who don’t have access to YouTube, can see it here: Adding_Parameters. with the importance of families and massing is a sad suprise that arent many more books on this difficult subject . the majority of existing intructional books are poorly developed and are missing information to aid in the leaning of revit . all these writers need to hire and pay people to do the exercises in these books this goes beyond word and spell check !! My country-Nigeria is not included in the payment page, so what should I do? I don't know why your country is not listed. But if you have paypal, you should be able to do the payment. I would like to enter the e-boot giveaway and I would like "Creating Revit Families" because I really need a good instruction book for family creation. one quick question, what is difference between autocad architecture and revit architecture? AutoCAD Architecture is using AutoCAD as CAD Platform. So AutoCAD users might find it is more comfortable to learn it. Revit has it's own CAD platform, which looks very different than AutoCAD. They have their own advantages, that can be a long list. Which one you should use, depends on your scope of work. I suggest you to give it a try before deciding to migrate to Revit. But if you never use AutoCAD before, I would suggest Revit. I would love the Revit Families book, it's just very relevant to what I need to be doing right now. I'll most likely buy it if I dont' win it! Would so enjoy reading "creating your own revit families." by chance, have you extended the 2fir 1 sale? If so, i would be interested in purchasing. Yes Alex, I extend it until the giveaway contest is ended. Read both the books in the weekend – Just like to say that they are Fantastic! I'm amazed that you finished both of them during the weekend… I can't even finish reading Harry Potter in such a sort time! I'm glad that you like both of the e-books. I hope they're worth the purchase! The 2 for 1 Deal dosen't show up on the Ebook web site? The 'Revit Family tutorial' book will be given as bonus pack. You do not need to put it in your shopping chart. Simply purchase the 'First Residential Design' the you will receive download links for both e-books. The e-book you are offering: "Creating Revit Families" would be most helpful for enhancing the use of Revit by new users. 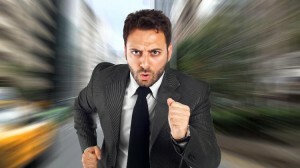 Easy Family creation is the crux of making Revit acceptable by the masses of new users.